Take a catamaran party cruise and visit a few of the best reefs around Punta Cana on this half-day tour. Climb aboard the double-decker vessel and enjoy an open bar of drinks and snacks as you make your way to the reefs. 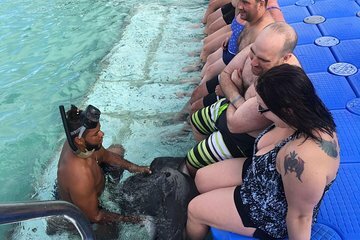 Then jump in the water for a snorkel tour where you can see the area’s diverse marine life including sharks and stingrays before heading back to shore.